As a HR Practitioner, a lot of what we do in our day to day Consultancy work is education. Sounds interesting doesn’t it – how do you figure? Isn’t HR just people related….. Working with Clients we certainly appreciate that there is so much for them to consider when hiring, firing and engaging staff in the workplace. Its not unusual for us to have the conversation of well - you don’t know, what you don’t know. Working strategically along side Clients and supporting their business operations, we take on the role of educator in some areas by mentoring them and their teams in various aspects of HR such as legislative awareness, employee engagement ideas and strategic systems and processes that will ensure that they not only comply with all the legislation but that the business will tangibly benefit from doing so. Around 7 years ago, I started documenting little thoughts and ideas on the “real” story in workplaces today with the vision that one day I was going to write a book because I genuinely beleive that if Employers could just recognise there was a far deeper value in increasing their awareness around HR, and even investing in their own development as a Leader they would sincerely beneift from it by improving their business’s bottom line. Ultimately why we are all in business – to make a profit!! 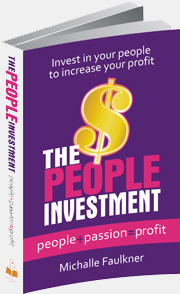 Today, I launch “The People Investment” – woo hoo! my first book and its incredibly exciting!! This book is a culmination of these ideas and my experiences in a humourous and jargon free resource tool that Managers and Employers can pick up, read and take strategies (simple – effective strategies) back to their business and see some great results. 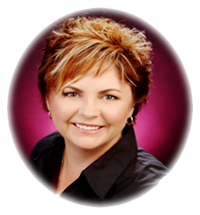 I’m really looking forward to getting some feedback from my readers and using this blog platform to engage conversations around challenges that business owners and employers are facing. A problem shared is a problem half solved!